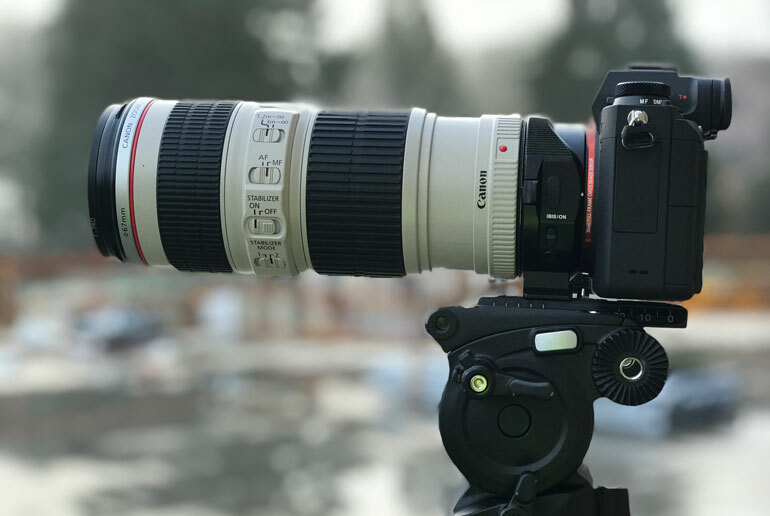 When it comes to our paid production work, we like to stick to Canon cameras because they’re workhorses, they’re easy to use and color grade, and the autofocus does wonders with our collection of Canon lenses. But when we review gear, we like to open our minds to new products and workflows - and set aside our habits and assumptions until we can spend some time with the gear. Often our habits and assumptions are justified, and we go back to our tried and true gear that we stand by in our video equipment and promo video articles. 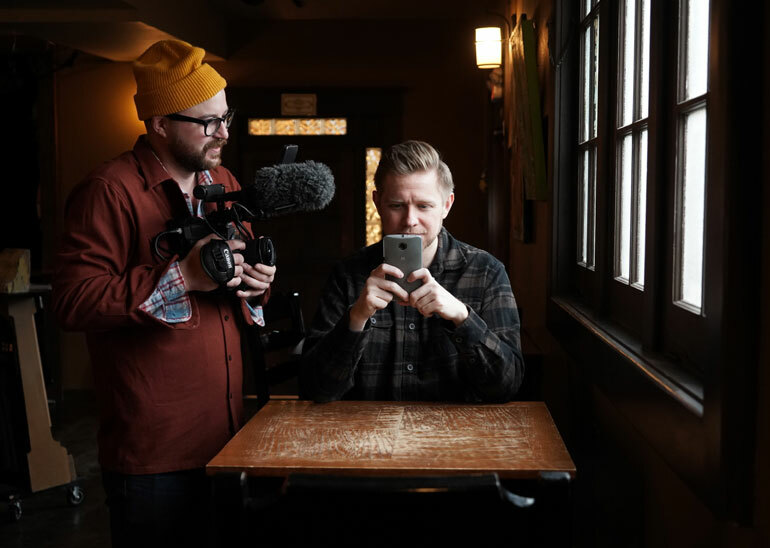 But in the process of trying out new and different gear, we also learn new things, not just about the tech and video production industry, but about production in general, about ourselves, and the tools that help us tell better stories. Experiencing the wonder of new gear lets us leap into new modes of thinking and creativity. It’s like when you play a different guitar - each one brings out a different tune from within you. So anyway, we wanted to try a new Sony alpha mirrorless camera out, and we've already shot with the Sony FS7, FS5, and A7S/A7R series. So to change it up a little, we decided to try out the Sony A9 because it’s very much outside of what we would typically choose for video production. But it still has decent video features, and we always have a need for photography in our video business, so why not the A9? B&H Photo was kind to send us a Sony A9 to review for a few weeks, and we happened to be busy traveling around the country for some tight deadline video production work, so we thought, why not bring it along? 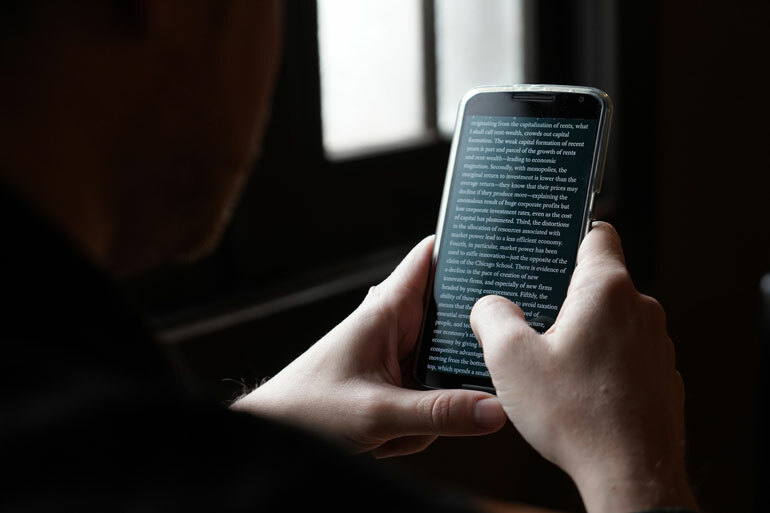 Not having a lot of time to test the camera means that we’re writing mostly about our opinions, perspectives, and feel, rather than offering up another spec sheet or comparison tests. But speaking of comparisons, right after we received the A9, the Sony A7R III was announced. So wait, does that make the A9 obsolete for video shooters? 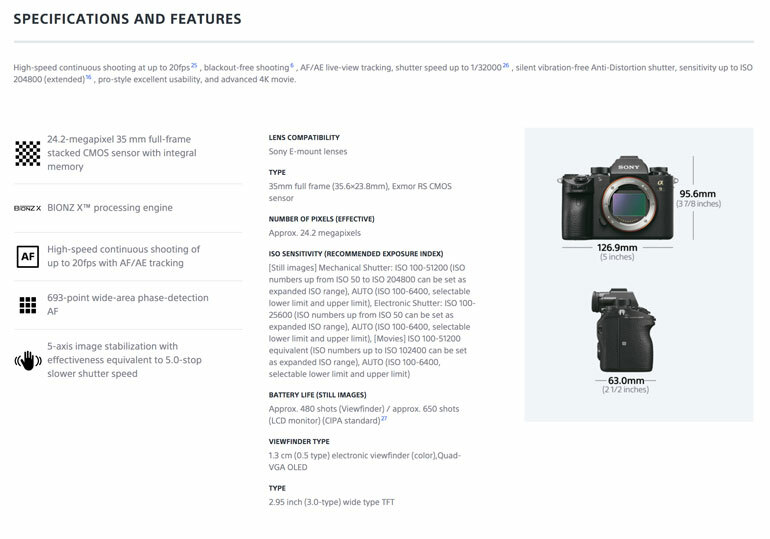 First, let's go over some of the specs, since Sony is pretty much the king of offering amazing specs in these tiny mirrorless packages.​ (Here's the page with all the specs listed, by the way). Yes, it takes pictures fast. Blackout-free, continuous shooting at 20 photos per second fast. All with that silky silent mirrorless operation so that your colleagues don't judge you for taking 2,346 photos of something. It has the world's first full-frame stacked CMOS sensor, with 24.2 megapixel resolution, along with a BIONZ X processor to support all that work. 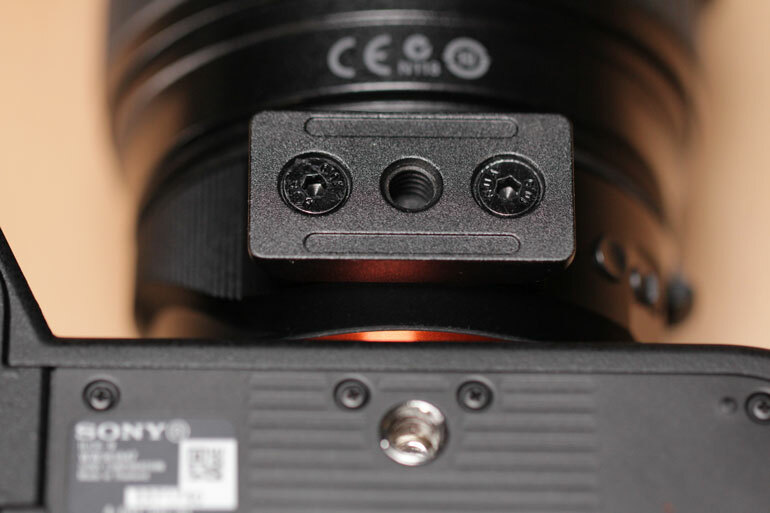 This sensor allows for crazy specs like 693 phase detection AF points which cover nearly the entire frame, and 60 autofocus / autoexposure calculations per second. It's also possible to take photos at 1/32,000th of a second. That, plus the 20 frames per second high speed shooting has led most people to call the Sony A9 the #1 camera for sports photographers today. Or at least those who are shooting with Sony lenses. For video shooters, the A9 ​offers 4K (UHD) video across the full width of the full-frame sensor, and at up to 30p fps. 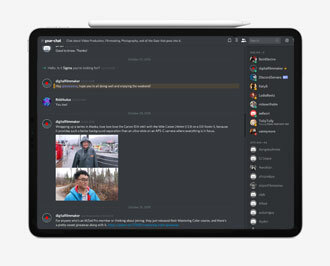 It actually collects 6K of pixel information, which is then downsampled to 4k without pixel bining. What all that means is the 4k is very sharp. It also means you can get the full field of view of your lenses, without a sensor crop, when recording 4k video. The A7RII, on the other hand, is also a full frame camera but has a 1.5x crop for recording in 4K. For media type, the A9 records 4K in either 60 or 100 mbps in the XAVC S codec. That's not a very high bitrate, which can be both good or bad. Good in that you can record a lot of 4K video to a 128gb SDXC card. But bad in that there's not a lot of data to work with - especially with the 4:2:0 8-bit image - if you messed up exposure or color and need to correct it in post. 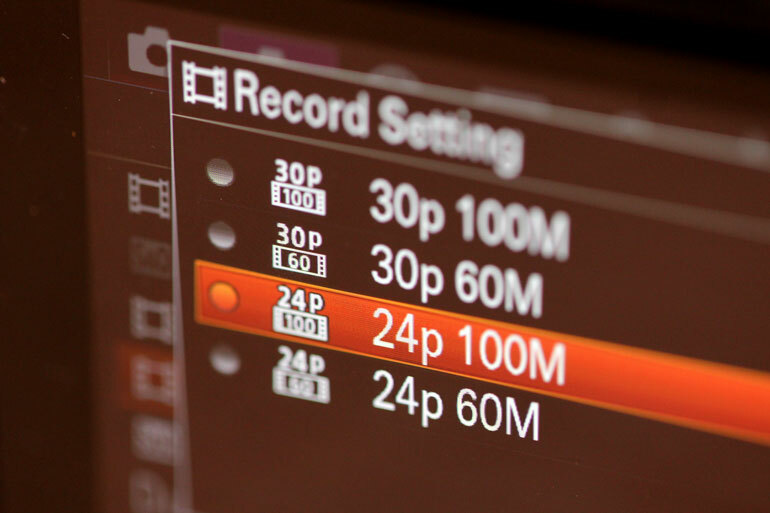 There's also MP4 and AVCHD codecs available in HD mode.​ And you can record up to 120fps in HD. The HDMI is mini, but that's standard in combination photo/video cameras these days. And there's a 3.5mm microphone and headphone jack, which shouldn't even be a question, but there's been a few cameras released recently that have neglected one or the other (ahem, Canon M5, cough cough). 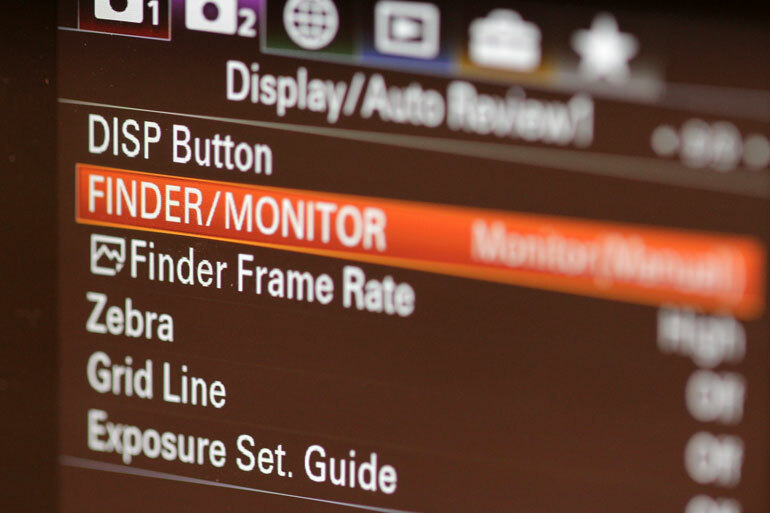 The major video spec missing from the A9 is the S-log picture profile. 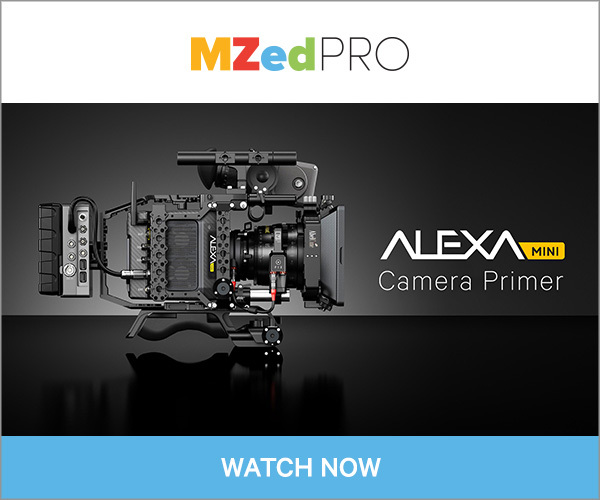 And that alone might steer video professionals toward the A7S and A7R line. But to be honest, we're not too disappointed. S-log can be very difficult to use in everyday video production, especially when it comes to grading. And there's some seasoned Sony shooters who believe S-log shouldn't even be an option in 8-bit cameras. The difficulty of S-log in an 8-bit camera is one of the main reasons why we sold our Sony FS5 less than a month after we bought it. But that's a long story for some other time. For now, the Neutral picture profile in the A9 is perfectly usable for most video productions. We were able to match it quite fine with our Canon C300 mkII in C-log on a recent shoot. Here's a screengrab of the A9's UHD 4K video, shooting in 100mbps with a Neutral color profile. This was using a Metabones adapter (not speed booster), with the Canon 70-20﻿﻿﻿0mm f/4L IS. We didn't have an ND filter so this was probably at f11 or so. 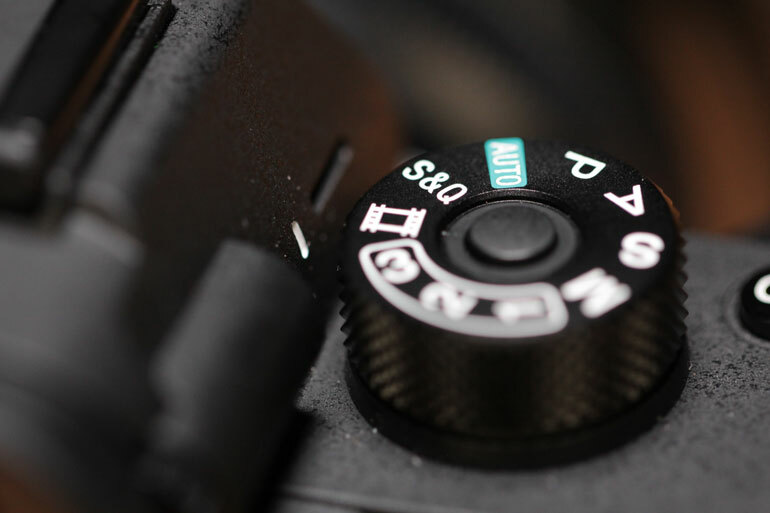 ​Renting or borrowing cameras for a real, paid shoot can be incredibly stressful. You never have enough time to ensure everything works in advance. Let's say you have 5 days before a shoot, to rig everything together. 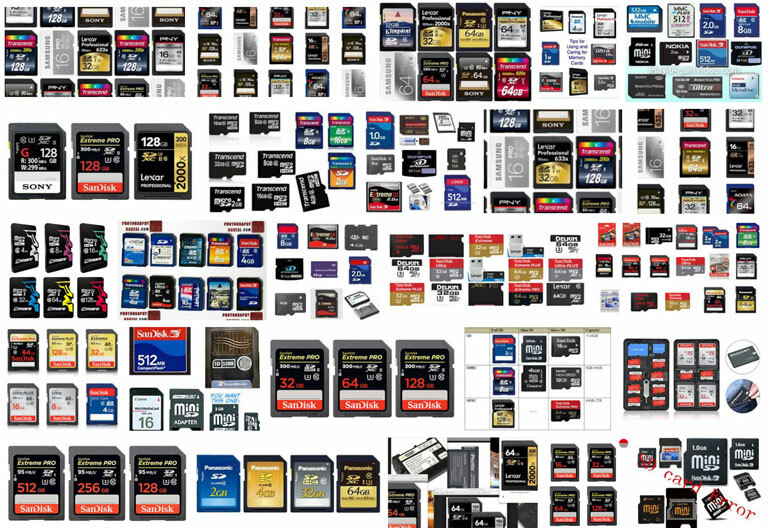 If you need accessories like media cards, for example, you end up spending all night reading reviews after reviews until you're 99% sure the card you're buying will work with the camera. If that card doesn't work, you don't have another 3 days to wait for a replacement card to ship. That's of course if you happen to live anywhere in the world except in New York City, near B&H, which carries all the niche video production accessories that you won't find at your Best Buy. For the rest of us, we live and die by the shipping speed. Or we just buy our cameras so we don't have to stress about this stuff every time we rent gear for a shoot. Anyway, the point is, choosing recording media shouldn't be that difficult, but it is. There's many different classes of cards and it's hard to know the difference between any of them. In our case, we stayed up late a few nights before we went on the road with the Sony A9, trying to figure out what SDXC card to get. This ﻿articl﻿e was helpful. Basically, the A9 has two slots. Slot 1 is for faster cards, slot 2 is slower. You shouldn't put slower cards into the faster slot, and you can't put a fast card into the slow slot. Got it? Slower cards are UHS-I, the faster ones are UHS-II. For video, you need U3. And then there's the class 10, which is pretty much on all the cards. So, you want SDXC, U3, UHS I or II, and Class 10. Oh and there's now something called V30 or V60 that may be required for 4k video capture. Yeah, imagine trying to sort all this out at 3am the night before a shoot. We haven't had to buy an SD card in years, since we're mostly shooting on the C300 mark II with Cfast 2.0 cards (which is a whole different quandary that could be its own article). We also had an entirely separate ocean of browser tabs open, tracking the reviews of cards that were supposed to work with the Canon C200, which we also rented at the time for this traveling shoot. We needed one card that would work for both the A9 and C200. It was a long night. We ended up getting this﻿﻿ card, and miraculously it worked on both the A9 and C200. But we didn't shoot and spray at 20 shots per second on the A9, so perhaps a faster UHS-II, V60, U3, Class 10 card would be necessary for that. 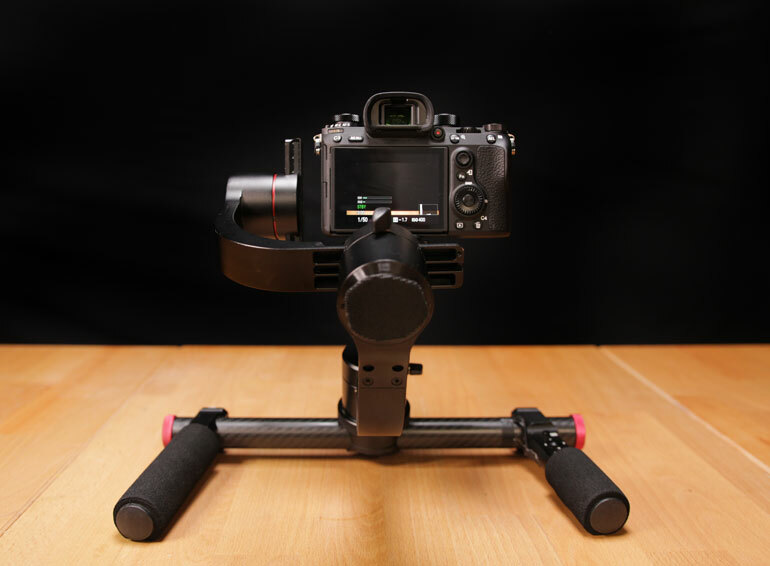 Even if you don't like shooting video on a small DSLR or mirrorless camera, chances are these days you have to for no other reason than shooting on a gimbal. 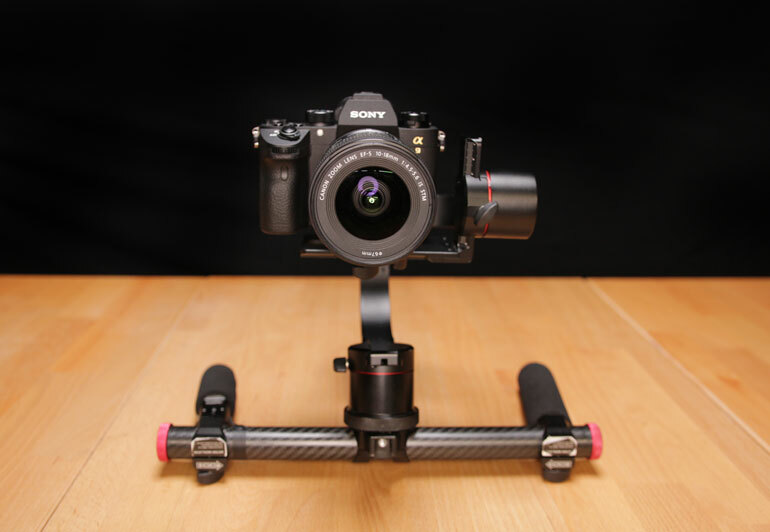 As we laid out in our DSLR gimbal article, most gimbals today are made for camera/lens rigs that are less than 4 lbs. If you shoot with a standard DSLR, or a small cinema camera like the Canon C100, Sony FS5 or the new Panasonic AU-EVA1, you will need to move up to much more elaborate, heavier, and more expensive gimbal systems, which are almost impossible to do if you're a one man band. And so, cameras like the Panasonic GH5 and the Sony mirrorless lineup, like the A6000, A6300 and A6500, and all the way up to the A7SII and A7RII have found themselves at the top of every videographer's lists, simply because they fit on a gimbal. And they shoot 4k. You won't find a small Canon camera (let alone with that's mirrorless), that shoots 4k today. So between all of those options, how do you choose which small camera to put on a gimbal? To us, the most important consideration is autofocus, and the availability of a very lightweight ultrawide lens, to stay under the load capacities of gimbals. ​But mostly autofocus. That's pretty much all you have to rely on when you're shooting with a lightweight gimbal. The Sony A9 has excellent autofocus. But only on Sony lenses. (More on that in a bit). 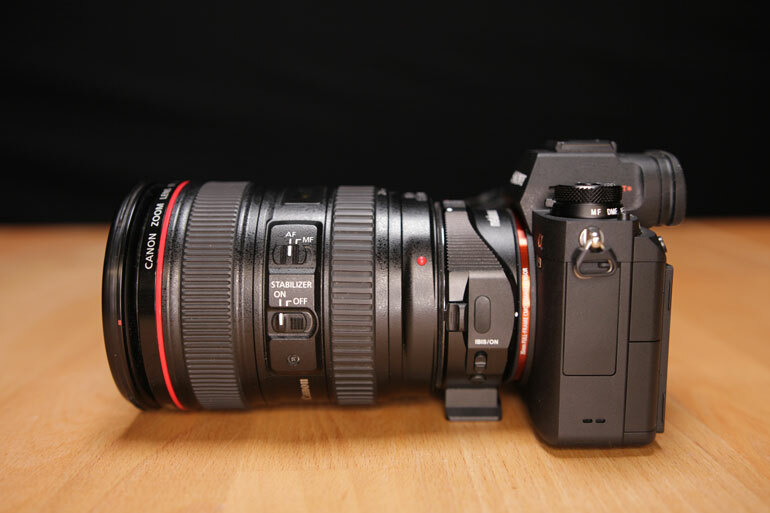 You can, however, put a Canon 10-18mm lens on a Metabones lens adapter. That's about the cheapest, lightest ultrawide out there. And it has IS. And at 10mm you don't need to worry about AF as much. There's this feature on the A9 that automatically recognizes APS-C lenses and crops for them. You don't necessarily have to have it on, but you'll see lens vignetting until you zoom past it. Having this feature is super convenient, because often you have a mix of APS-C lenses and full frame lenses, and it's great for the camera to automatically crop when it needs to. 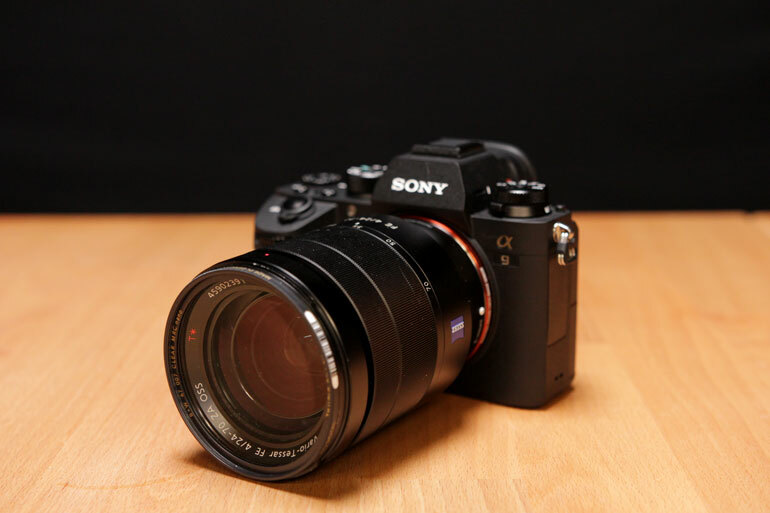 But if you truly want the A9 to be a perfect gimbal camera, you have to buy a Sony lens. And the lightest ultrawide is the Sony E 10-18mm f/4 OSS lens. It's not cheap, and it's not full frame, but it's small and light, and has image stabilization to help smoothen out camera shake, even on a gimbal. 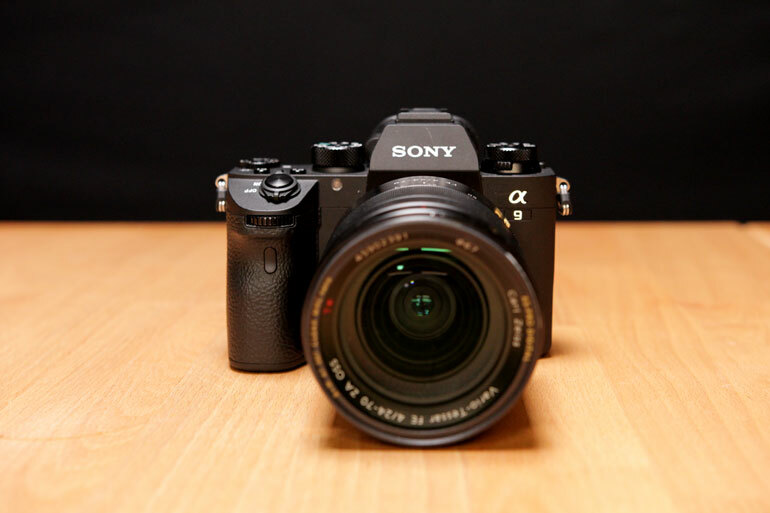 ​After years of shooting mostly with cinema video cameras, it takes a little readjustment to shoot with a very tiny mirrorless camera like the Sony A9. But honestly, we were surprised at how simple and fun it was to use. 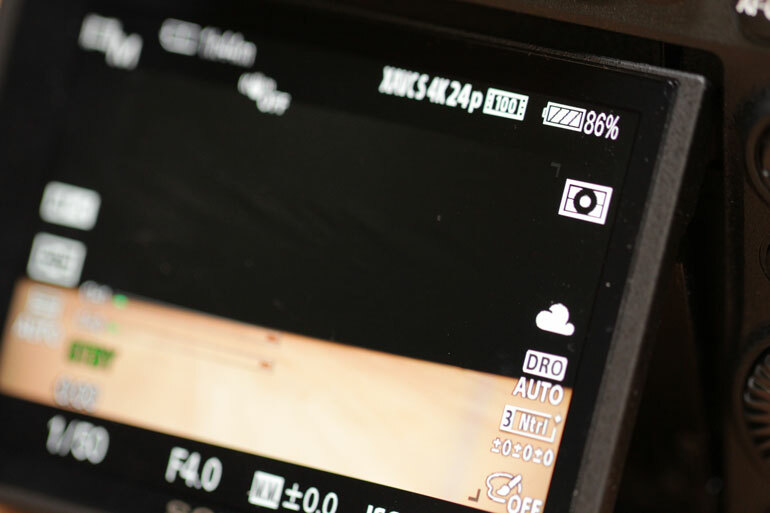 Often in the case of ultra professional cameras, there are a ton of features that are probably very cool but ​hardly ever used for video shooting. But you still have to go through the dozens of menu pages in order to get to a few simple video settings. Video resolution, and to a lesser extent, bitrate and picture settings. Frames per second and shutter speed (to go between regular mo and slow mo). Aperture and ISO wheels for never-ending exposure adjustments. White balance, both Kelvin and Daylight/Tungsten/Cloudy/Fluorescent presets. Boy, if we just had those settings easily accessible on a camera, wouldn't that gravy? The A9 has a few of those settings easily reachable, but of course it's a photo camera too, so the myriad of buttons are primarily there for photographers. One thing we were really pleasantly surprised to see was the option of Clear Image Zoom in 4K, all the way to 2X. Essentially this is a digital zoom that is actually pretty good. It stretches the focal range of any lens you have, which is convenient both for prime lenses, standard zoom lenses which now become powerhouse wide to tight lenses, and in our case, the 70-200mm which became a very nice 70-400mm lens equivalent. Another surprise from the A9 is the battery life. For such a small battery, this thing works for a long time. We shot in very cold conditions for hours, and the battery was still half full. Battery life is a huge deal in video production, so we're very pleased that the A9 has boosted the performance, even with all the powerful tech inside this small body. The same battery also works on the A7R III. 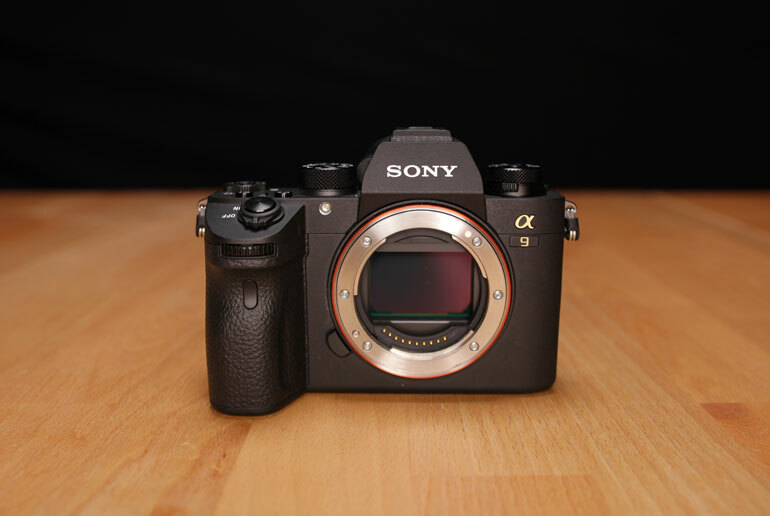 ​A big reason to choose the Sony A9 over other full frame DSLRs is the combination of an EVF (Electronic Viewfinder) and an articulating LCD screen. Once you have these things, it makes it hard going back to a DSLR without an EVF or flip out screen. On the A9, the screen does feel a little precarious when it's flipped out, compared to some of the hinges on other DSLRs we've shot with. And it doesn't flip to the side, which is a must for some video shooting scenarios. 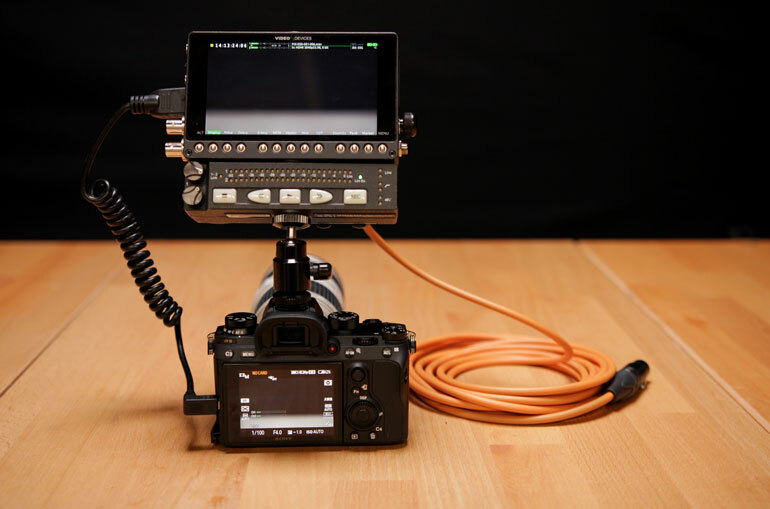 Depending on the gimbal you're using, the back motor often gets in the way of the camera's LCD screen, so flipping it out to the side can remedy that problem (and help you avoid adding an external monitor to the gimbal rig). 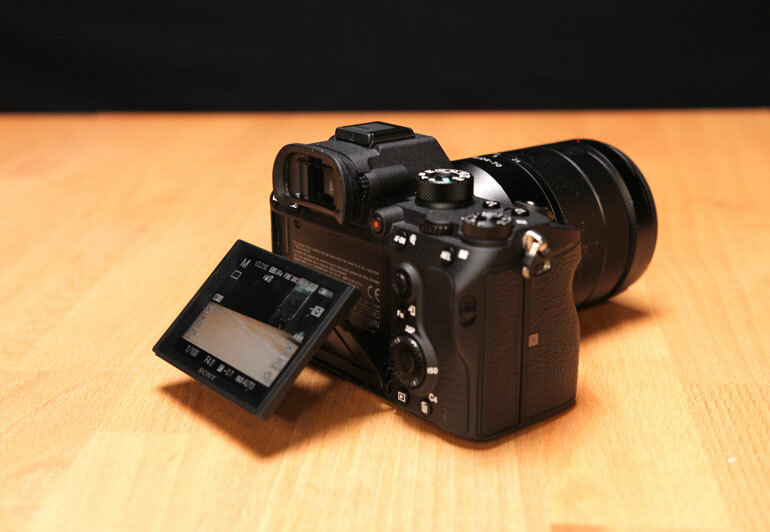 But overall, having an articulating screen in a professional, weather resistant body like the A9 is a welcome feature. But the truly liberating part of this camera - or mirrorless cameras in general - is having a built in EVF. 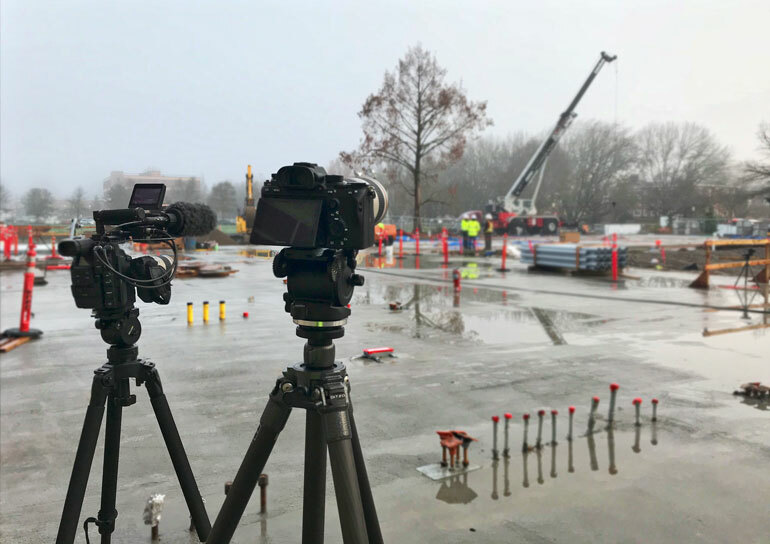 There are many times when you need an EVF for video production, like shooting in daylight, or using it as a point of contact when you're shooting handheld. But even when shooting photos, it's a lot easier to look through the EVF and see a completely accurate, electronic preview of the ​image you're about to take, with focus and depth of field and exposure all visible, before you press the shutter release. 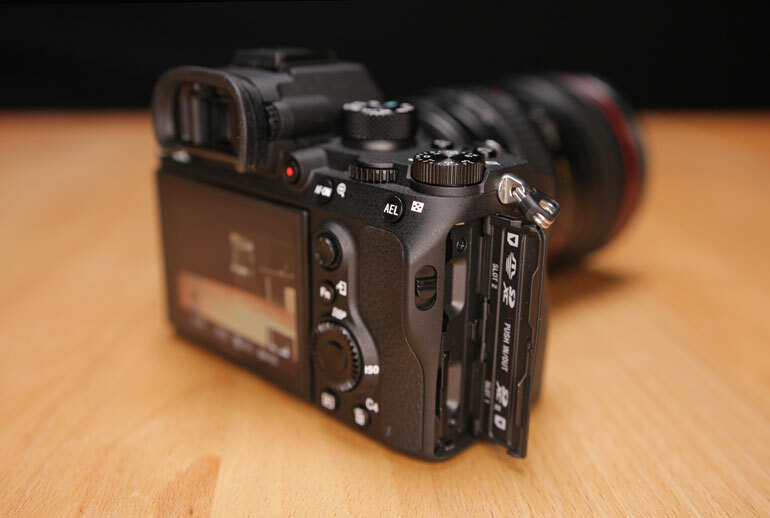 By default, the A9 (and most similar cameras) have an automatic detector that senses when your eye is pressed against the viewfinder, and it switches between LCD and EVF mode. Some cameras can have both of them on at the same time, but that's a good way to drain the batteries. Most of the time the eye sensor works fine, but sometimes you're shooting in a way where your hand or other accessories get near the viewfinder, and the camera keeps turning off the LCD to switch to the viewfinder. It can get annoying. 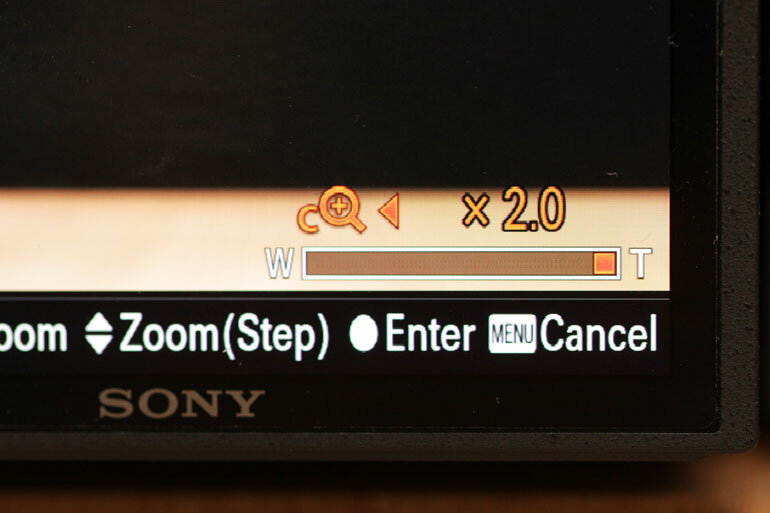 So on the A9, deep in the menu you can turn off the auto sensor and select whether to use the viewfinder or LCD​. We recommend you set this as your other Custom button, so you now have C1 as Clear Image Zoom and C2 as Finder/Monitor toggle. Even though we didn't have one for this review, we highly recommend getting a custom built eyecup for the EVF. It makes the camera a joy to use handheld. 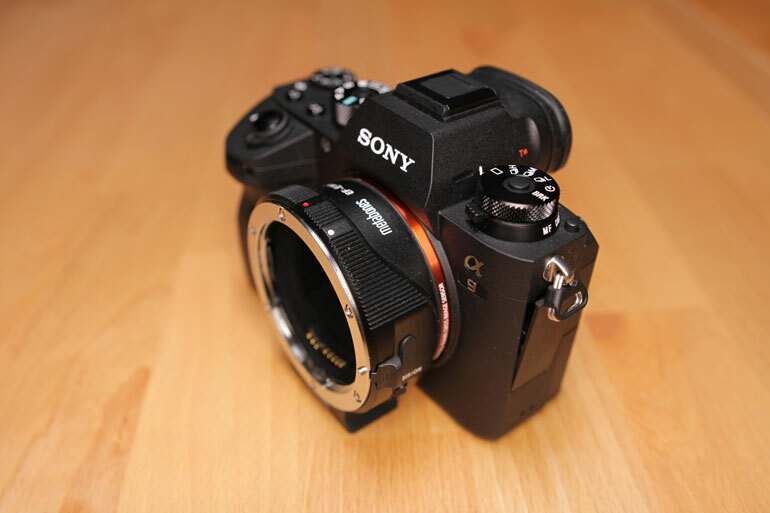 ​Hoodman makes the best eyecups, and this is their ﻿eyecup﻿ for Sony alpha cameras. 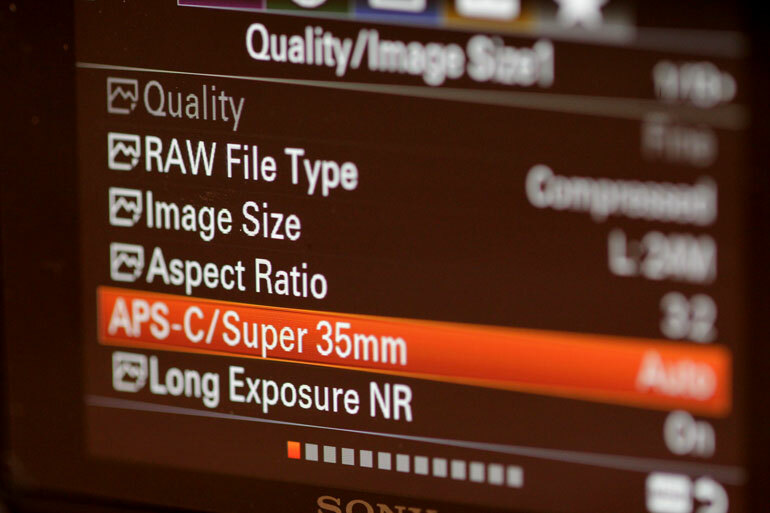 ​Whether you're using the A9 for photos or videos, probably the biggest factor that affects your experience with the camera is whether you use Sony or non-Sony lenses. ​There are many Metabones filters to choose from now, not to mention adapters from other companies like Fotodiox and Aputure. But the main differences between the Canon lens to Sony mount adapters is whether they accept both EF and EF-S lenses, whether they enable the lens IS to work, and whether they are Speed Boosters, which can completely transform a lens. So take the Canon 24-105mm f/4 IS lens, an industry workhorse that can be seen on many still and video shooters cameras on any given day. Its main problem is it is not wide enough, and f/4 is limiting for low light and depth of field. With a Speed Booster, however, the f/4 maximum aperture gains a stop of light, becoming an f/2.8 lens. And with a 0.7x field of view adjustment, the lens becomes a 17-75mm lens. And then when you add a Clear Image Zoom of 2x, you effectively have a 17-150mm f/2.8 lens, which is enough for pretty much any shooting scenario, and at a super reasonable price. There just aren't any affordable lenses out there that cover that kind of focal length, and at f/2.8 constant aperture, plus with Image Stabilization. The closest is the Fujinon Cabrio 19-90mm T2.9 PL lens, without IS, and it costs more than a new car. Honestly just having the ability to use a Metabones Speed Booster adapter with the Canon 24-105mm is enough of a reason to switch to using Sony cameras. It really does make the lens a powerhouse. And it's too bad we can't have a Speed Booster that lets us do the same with a Canon lens on a Canon camera. 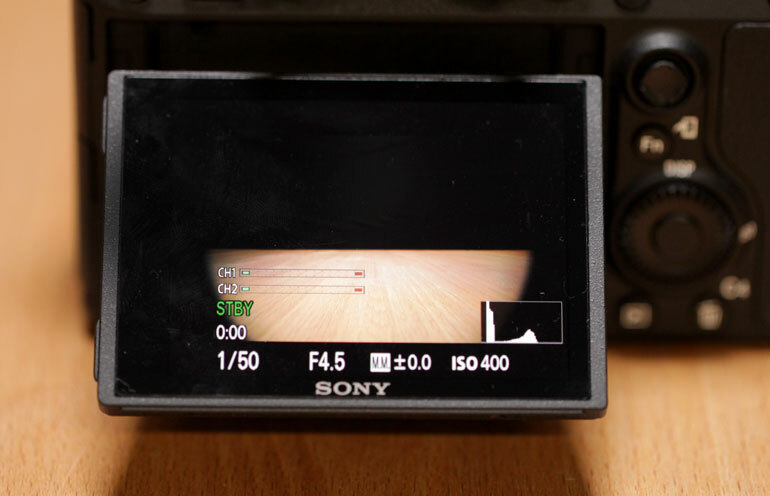 But here's why a Speed Booster is not essential on the Sony A9. On a camera that crops the lens in video mode, like the A7RII, or an FS5 that has a APS-C sensor, after you do the 0.7x adapter calculation, you then have to multiply by 1.5 or 1.6x to get the crop factor. So in that situation, the Speed Booster is absolutely essential to using the 24-105mm as a wide to tight all-around lens. To summarize, if you're using a Canon 24-105mm on an A7RII, for example, with a Speed Booster, you take 24mm, multiply by 0.7x for the speed booster adjustment, and then by 1.5X for the sensor crop, and you get a 25.2mm FOV (in a 35mm equivalent). But on the Sony A9, the ability to shoot full frame means you get the full 24-105mm field of view. So if you just use a Metabones smart adapter without the Speed Booster, you don't have to make any additional calculations to get a 24-105mm FOV. It's plenty wide and tight enough, plus you get the 2x Clear Image Zoom, and the A9's low light and high ISO ability means the f/4 is good enough for most conditions. That extra stop with a Speed Booster would be nice for additional depth of field control, but as we all know, critical focus on a full frame camera is sometimes difficult with razor thin focus. So f/4 is perfectly fine for everyday video production scenarios. 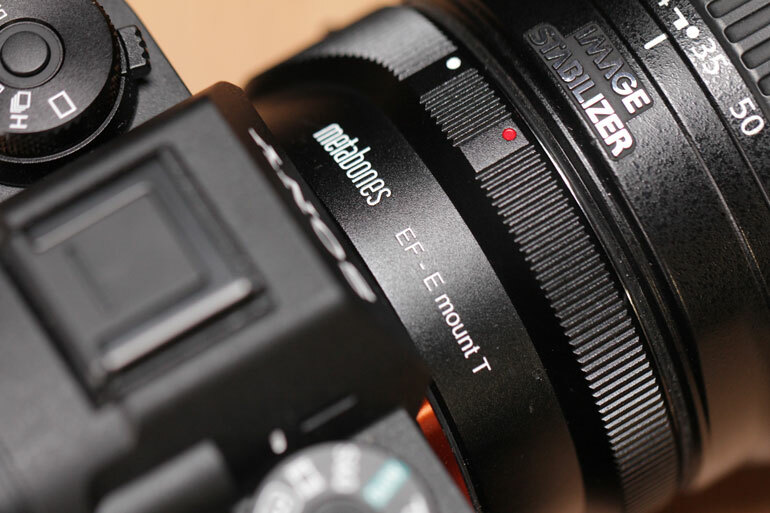 What makes this particular Metabones adapter special is not only does it accept both EF and EF-S lenses, but it also transmits their IS function, which for us is essential in video production. But more than that, this adapter also has the ability to enable the built in IBIS, or In-Body Image Stabilization feature. It's like IS but stabilizes the sensor itself. In the product description at Metabones, the Smart Adapter (Mark V) gives you the choice whether to use IBIS or lens IS, or have both of them work together. In the time we had the camera and adapter, we couldn't really figure out which Canon lenses would allow IBIS on the A9 to work, either independently or along with the lens IS. 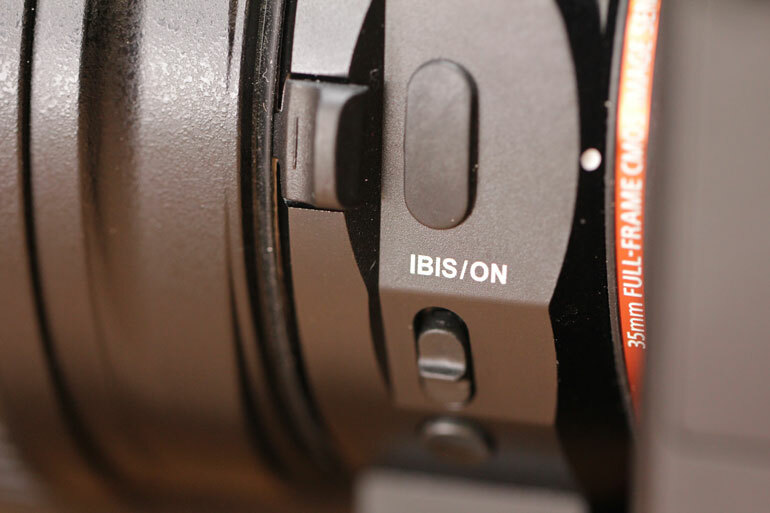 But based on the documentation, it appears that IBIS only works on A7II, A7RII, and A7SII at the moment. For our purposes, lens IS works perfectly with the adapter, but we look forward to trying the IBIS out with a different Sony camera (perhaps the A7RIII when we get a review copy in). The true test of this adapter is how well the AF works on Canon lenses. Although the Metabones adapter only supports phase detection autofocus on the A9, rather than contrast detection autofocus, it's the phase detection points that you want on the A9 anyway. All 693 of them. And for the most part, the AF works ok, if a little slow. However, the performance pales in comparison to the amazing AF on Sony lenses​ with the A9. So when shooting both photos and video with Canon lenses, we relied on manual focus, which is a breeze with the built in focus peaking on both the LCD and EVF. We were able to use a Canon 100mm f/2﻿.8 Macro lens for portrait photos, with razor thin focus, using manual focus only. But if you want AF, you ought to stick to Sony lenses. One little surprise about the Metabones adapter is that it has a 1/4-20" tripod mount underneath. This is actually super useful for a couple reasons. One, your quick release plate could be secured better if you had a 1/4-20" screw under both the camera body and the metabones adapter. But your QR plate may or may not fit. More importantly, when you're using a tiny mirrorless camera like the A9, nearly all the weight of the rig is on the lens. So shifting the center of the camera's tripod mount to the adapter makes a lot of sense. It's a nice touch. For our production trip we had the A9 along to take editorial photos to go along with our videos. 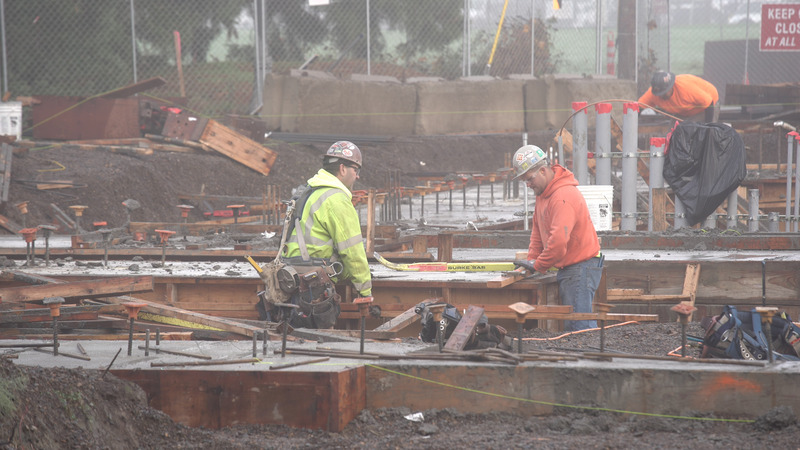 It's always nice to have a few high resolution photos of your subjects in action, during a documentary or corporate production, because screen grabs often don't suffice for print articles promoting the film or organization. Knowing we wanted fast AF for very quick photos here and there, we rented the Sony Vario-Tessar T* FE 24-70mm f/4 ZA OSS lens. Phew, that's quite a mouthful. 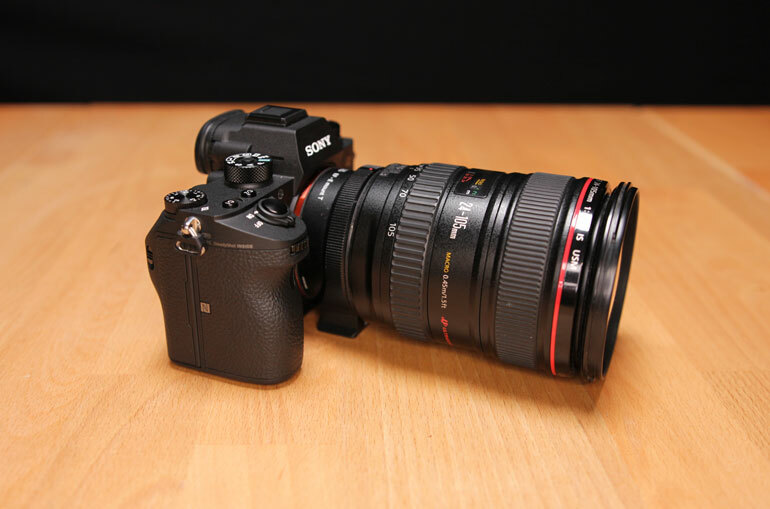 Essentially, it's a full frame 24-70mm f/4 with image stabilization. 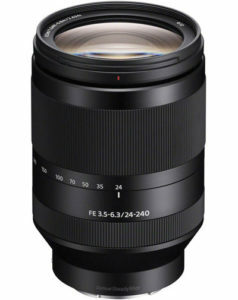 Sony has other full frame lenses in this focal range, like the 24-70mm full fr﻿﻿ame f/2.8 lens, but it's heavier, twice as expensive, and doesn't have image stabilization. And Sony also has a 24-105mm f/4 OSS - the equivalent of Canon's workhorse - but it wasn't available at the time of the review. We weren't sure if we were going to shoot video with the A9 on this project - either handheld or on a gimbal - but we wanted to keep it as an option in case we needed a second or third video camera. So we opted for the lightweight 24-70mm with image stabilization just in case. For photographers, the f﻿﻿/2.8 version is a better investment. And if you're really looking for a single lens solution, the Sony FE 24-240mm f/3.5-6.3 OSS lens is a beast in terms of focal range. 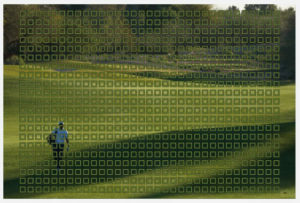 Add 2x Clear Image Zoom to the mix and you wouldn't need to put any other lens on your Sony mirrorless. Of course with super lenses like these, the sharpness and overall image quality suffers, but in general video shooters are less concerned about sharpness than photographers. 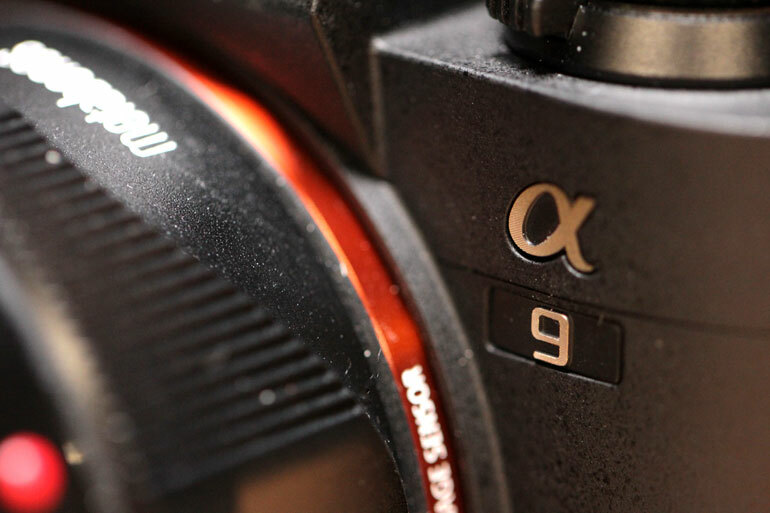 What can we say about the photos the A9 takes? Simply, they're damn good. We hardly ever take advantage of all the bells and whistles that come with each new camera. For photos, we almost always shoot in a Neutral color profile, with Auto White Balance, and in Manual Mode. Then we use 1/125 for the shutter (to avoid shake when shooting hand held), aperture wide open, and auto ISO. In this way, we always get sharp photos with beautiful depth of field, and if the ISO makes the image noisier because we're shooting in a dimly lit environment, so be it. Better noisy than out of focus. Speaking of dimly lit environments, the A9 has really, really good looking blacks. The highlight roll off to black is simply rich. Sony cameras have always struggled with skin tone color in mixed lighting conditions, but in daylight there's no complaints here. 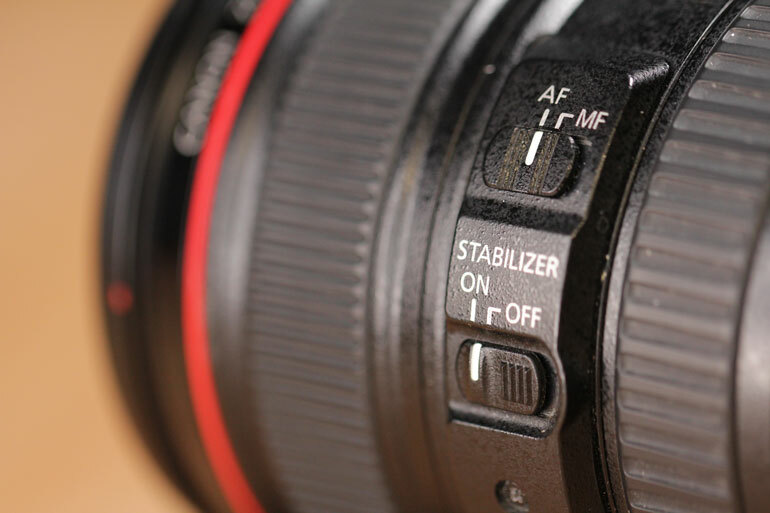 Armchair camera critics tend to always complain about Canon's continued failures in the DSLR and mirrorless video camera scene, since the original 5D mkII took the world by storm. The argument is that Canon doesn't want to cannibalize sales of high end cinema cameras, so they continue to cripple their DSLRs, removing easy to implement specs in the name of sales. We can't say if any of that is true, because none of us know what's going on behind the scenes at camera manufacturers, their sales or product goals, or anything like that. But what we can say is Sony is clearly not afraid of any sort of cannibalization of their cameras. Only a few months after the A9 was released, the A7R III was announced, and it has nearly all the specs of the A9, and then some more for video shooters, for a fraction of the cost. So who would buy the A9, when you could get one of the several other Sony alpha cameras marketed for video, and especially the new A7R III? The answer is, for most professional photographers or videographers, we don't live and die by one camera alone. And additionally, we need to have business expenses, like it or not. You can spend part of your business income on quality gear, or you can send it all to Uncle Sam. So if you want or need a camera that takes incredible photos and pretty good videos, the A9 is at the top of Sony's lineup right now. If you need a video-first camera, Sony has a lot of other options for you. Chances are, you'll end up owning a few Sony bodies in your lifetime, probably a few at a time. So it hardly ever becomes a critical decision between one camera or another. And that's why the whole cannibalization question doesn't really come in to play with Sony cameras. There's plenty of cameras and specs to go around.